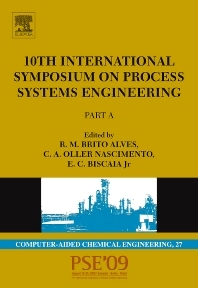 This book contains the proceedings of the 10e of a series of international symposia on process systems engineering (PSE) initiated in 1982. The special focus of PSE09 is how PSE methods can support sustainable resource systems and emerging technologies in the areas of green engineering. Researchers and practitioners involved in the creation and application of computing-based methodologies for planning, design, operation, control and maintenance of chemical and petrochemical process industries.